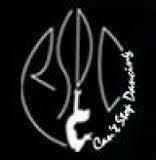 Rahul Saxenna's Dance Connection conducts classes in Bollywood Dance Classes, Break Dance Classes and Dance. It is located in Andheri East, Mumbai. It takes Regular Classes- at the Institute.